As a global leader in surf apparel, Rip Curl is a well-known worldwide brand specializing in all things surf related. Sponsoring some of the biggest name is professional surfing, Rip Curl retail store is located right off the PCH in Malibu and is a go-to spot for shoppers as they search for Rip Curl apparel, accessories and wetsuits. Rip Curl started up as a vision in 1969 by two soul surfers who turn this movement into a worldwide brand, inspiring surfer all over the world to, “Live the Search.” There’s much more to the Rip Curl name than just cool clothes and professional athletes. The Rip Curl brand has evolved into a way of life for surfers who live for the sport. As The Ultimate Surfing Company, Rip Curl provides a wide variety of outdoor and board sport apparel such as wetsuits, boardshorts, watches, footwear, sunglasses, accessories and much more through over 60 countries in the world. The particular Malibu location is a very popular place for surfers to flock to. 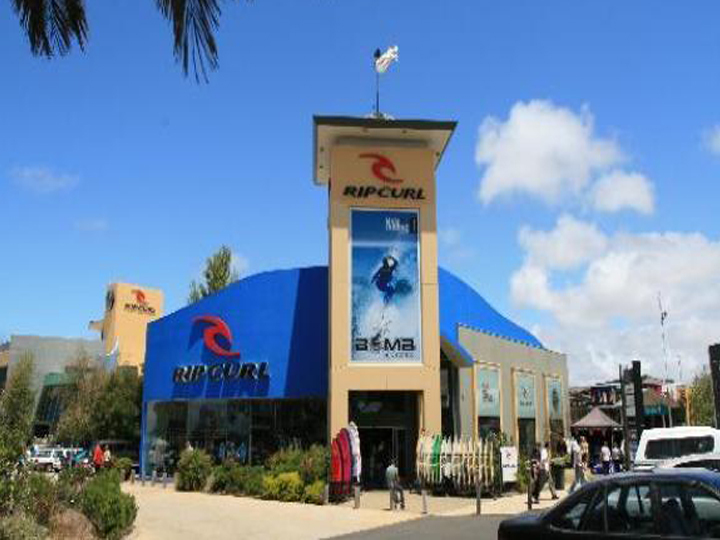 If you’re cruising up and down the PCH, be sure to check out Rip Curl for your surf apparel. There’s no doubt that you wont find what you’re looking for or will find a sales associate who can help you out. If you love the brand, but can’t make it in the store, check out their website here.